TransDev has one of the largest selections of power transmission products in the UK. 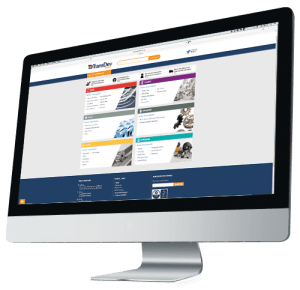 You can currently browse our website and catalogues and order via the phone, fax or email. You can access our online flipping book version of the Range Catalogue by clicking here. For Special Belts and Manufactured products we can produce drawings and help you with your specification, before confirming final costs. Our 6 Kardex® machines have enabled us to provide storage capacity of 31,200 m² out of a footprint of only 444 m². A machine holds 46 shelves, with each single shelf measuring 2500mm x 860mm and capable of withstanding weights of up to 500kg each. Machine storage keeps components clean, dust free and dramatically reduces the risk of damage. TransDev has over 1,600 m² of static racking, hence requiring 2 x Order Pickers and 3 x Forklift Trucks that allow quick and easy access to such storage. Over 16,000 separate products held in stock, equating to over £2m. Stocked standard products ordered before 4.30pm ship the same day. Some of the cheapest shipping rates within our industry.